I'm Dustin, these are apps I've made. While growing in South Dakota I designed and developed websites for local businesses. I went on to dual major in Computer Science and Psychology at Rensselaer in upstate New York and I continued on to get a master's degree in Human Computer Interaction. I now hail from San Diego and work full-time as a UX Designer. 8 years ago I began designing and developing mobile apps and have being creating them as a hobby ever since. Please try out the apps and let me know what you think. Peak Active analyzes activity data on your phone and is able to recognize activities such as walking, hiking, jogging, or running. Activity data is presented so you may easily see stats like distance, speed, and the duration of your activity, all without needing to remember to hit start or stop during your activities. 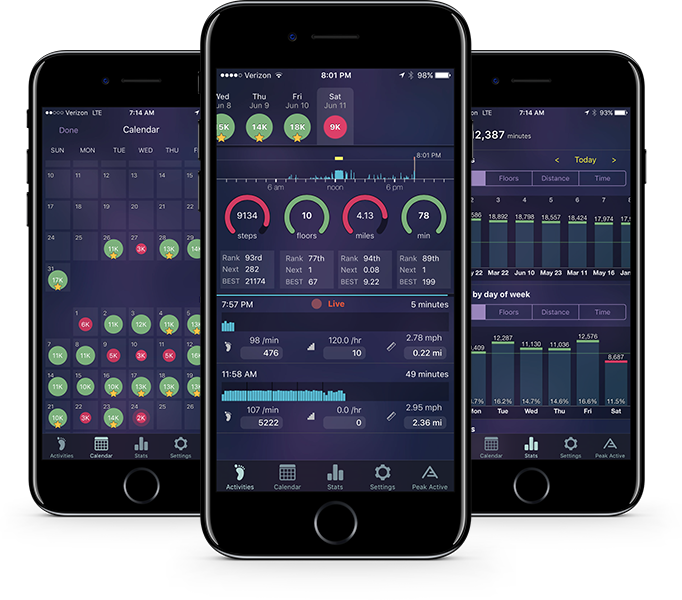 View your activity metrics in a beautiful and accessible way that keeps you informed, motivated, and driven to improve. Game-like animations and extra details provide for a delightful experience. Peak Active passively analyzes activity data stored on your device and intelligently detects to the minute when you started and stopped. Days later you can open the app and see exactly how far you walked, or even see what time you got into work. Set goals and keep motivated to go the extra steps. Daily achievements are rewarded with stars and streaks. Statistics let you see what days of the week are a struggle and rankings show how much more you need to do to beat your best day. In this variant of the popular game 2048, the objective is to shift and combine tiles to get ever increasing tile values and points along the way. 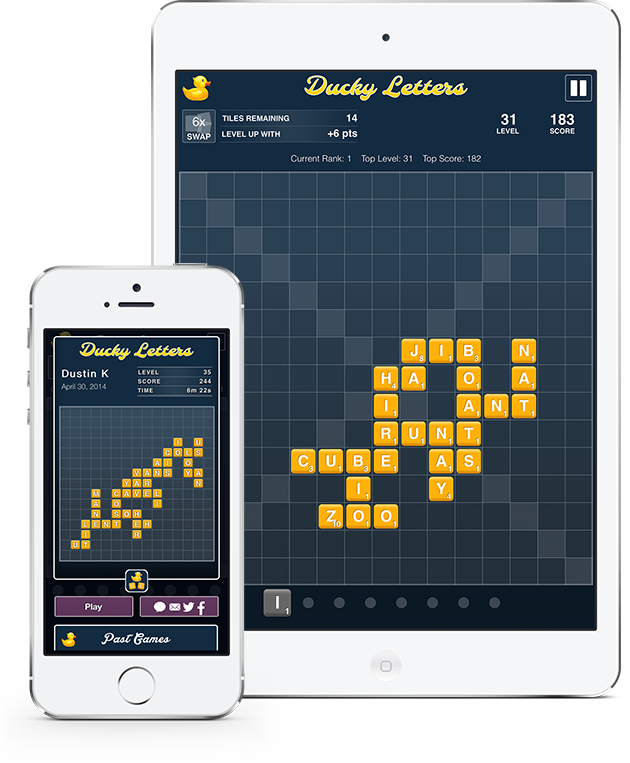 Ducky Tiles double anything they touch, bringing a fun twist and a new strategies to the game. 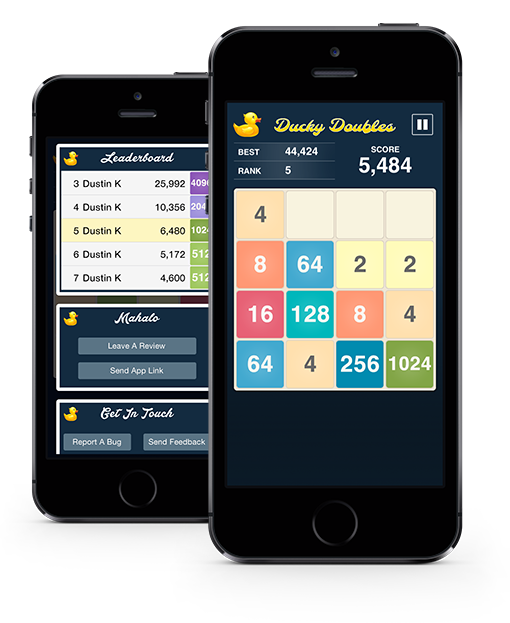 Both easy to learn and hard to master, Ducky Doubles eases new players in with seemingly endless opportunities to achieve higher scores. Fun animations and friendly visuals make this otherwise analytical puzzle game incredibly approachable. Putting a new twist on the popular game 2048, Ducky tiles add a new game play dynamic and offers strategic benefits. Use them to speed through the game to achieve a new high tile mark, or minimize their effect and go for a high score. Wonderful for playing at night, the colors are muted, look great together, and create an overall chill vibe. Whether waiting in line, relaxing on a sofa, or laying down in bed, you'll enjoy your time and want to keep playing for hours on end. With no time pressure, this single-player word-building game invites you to create the largest words you know by re-arranging letters until they are all used. Once all letters in the tray are incorporated into valid words on the game board, new letters appear. You are encouraged to experiment with letter placements and create the longest words you can. The endless combinations are only limited by your word vocabulary and ability to intuitively construct words from the letters available. Compete for top score by stringing words together, rearranging letters, and optimizing word placement. Double a letter's value by reusing letters in both the horizontal and vertical directions and get additional points for making words longer and longer. With no time limit, Ducky Letters provides a calm game-play environment that is great for relaxing at anytime of day. Each letter comes one at a time, and letters on the game-board can be completely rearranged between each turn. Enjoy traveling with kids while playing this classic family friendly "I spy" game. It makes road-trips and simple drives around town a fun adventure for all. 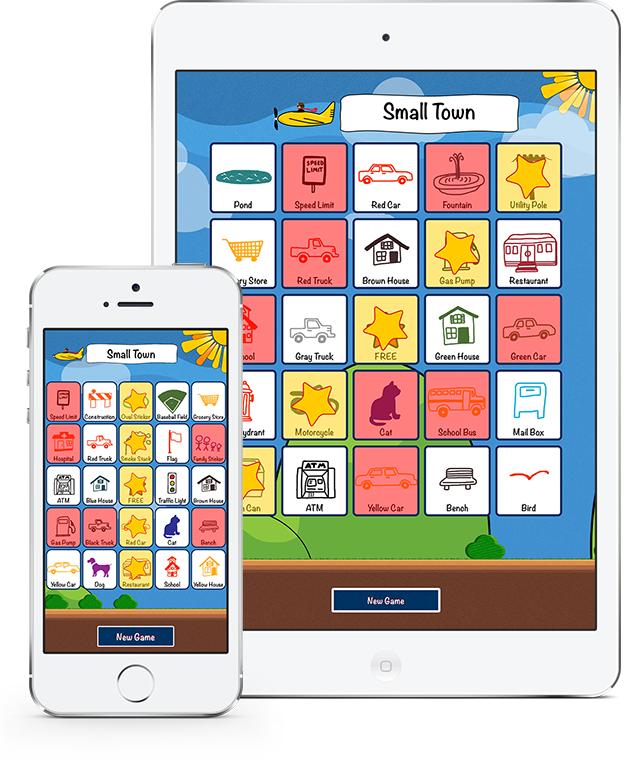 Keep kids entertained and engaged in the surroundings of your next trip across town. From Big City to Country Roads, choose a game board suited to your trip. Or switch it up and try Letters & Numbers. Travel Bingo gets the whole family looking outside the car and talking rather than staring at a video game. Discover new sights together and make any trip a fun experience for all. From hand drawn tile images to playful animations, the game is full of whimsy and the interface is incredibly kid friendly. 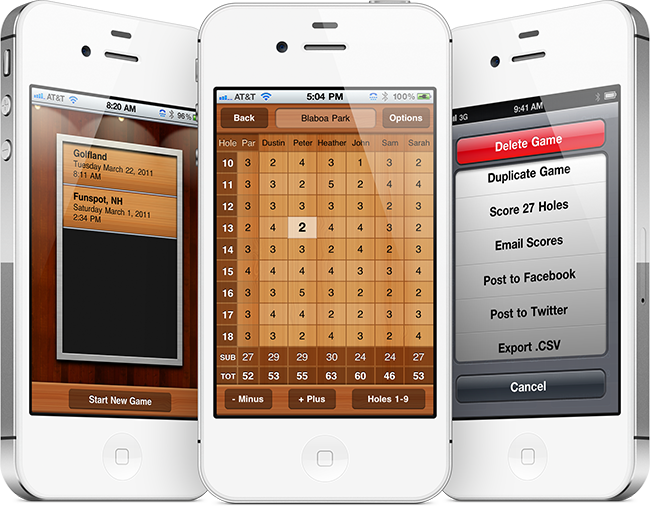 Ducky Disc Golf Scorecards is the most comprehensive app for logging your disc golf play, and it is super easy to use. The flexible design of this app enables you to quickly record any amount of information you desire from just scores to recording the specific angle the disc left your hand on each throw. The course configurator and contacts integration makes first time setup a breeze and course replay lightning fast. With lots of thought going into reducing the number of touches necessary along with big buttons, and large text for readability, score entry is blazing fast. After the game, share beautiful scorecard images detailing the game play. Share scorecards over email, text messaging or post to Facebook and Twitter. 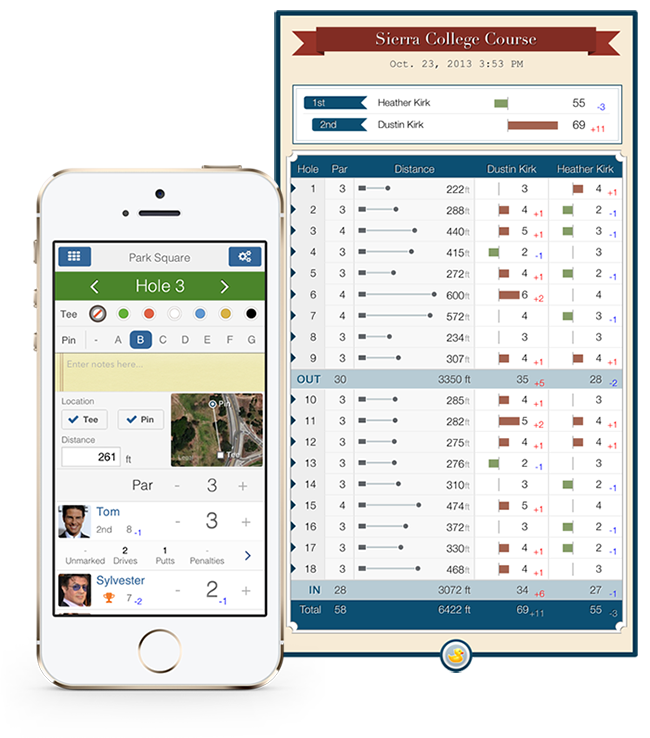 This app supports courses with multiple Tee and Pin locations, allows you to track trow locations, distances, notes, flight-paths, and more. Additional features include the ability to export scores, start courses mid-way through, support for unlimited players and support for courses of all lengths. Mini Golf Scorecards for the iPhone and iPod Touch allows you to score your putt-putt adventures with out little pencils and small pieces of paper. Track your scores throughout the game with this super simple and easy to use score card, and when you are done, email your scores to your friends right from the app. Mini Golf Scorecards even formats the scores so they are easy to read and will look good when your friends see your stunning victory. Double-tap on an empty par value to set it to 3. Double-tap an empty score to set it to the par value for that hole. And if you play the same course twice, simply duplicate a previous game and the title, hole count, and par values will all be set for your new game. Track all of your miniature golf epic adventures with unlimited game saves. Scorecards are automatically saved forever and even tracks the date and time of each game too. Should you ever have a disastrous round, you can delete your games too! Mini Golf Scorecards does all of the addition and subtraction for you. Never get blamed for cheating or be embarrassed for failing at simple arithmetic. With sub-totals for the front-9 and back-9 as well as the total game scores, you will always know who is in the lead. 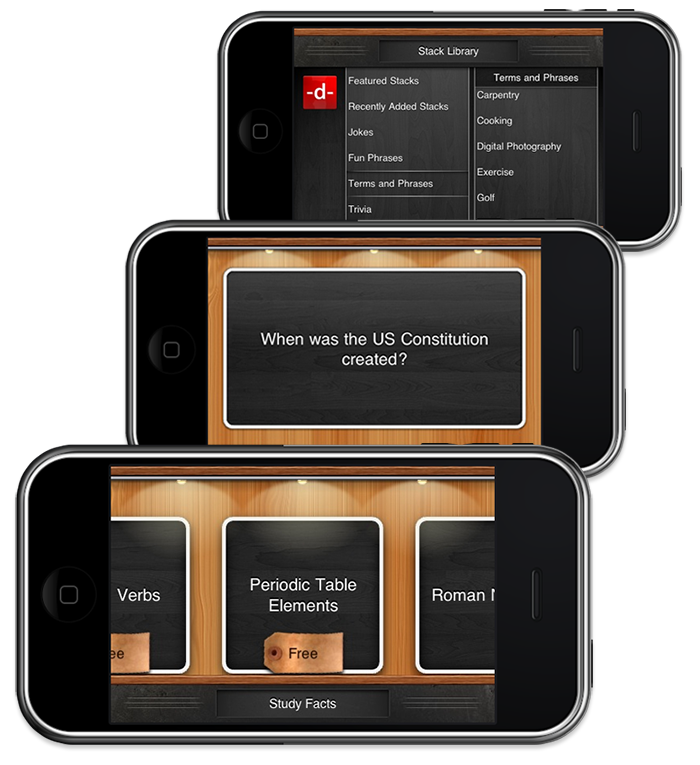 Stacks is hands down the best flashcard application for the iPhone and iPod touch. Stacks offers unparalleled quality in its design, ease of use, and rich variety of content. Enjoy the included content ranging from jokes to trivia, or create your own flashcards for studying. Stacks includes over 15,000 professionally created cards in categories including trivia, jokes, quotes, math, spanish phrases, study facts, terminology, and more. Enjoy countless hours of educational enjoyment and fun with friends and family. Using the Stacks website, create new flashcard stacks simply and easily by copying content from websites, text files, or spread sheets and pasting it into the stack creator. Stacks detects the formatting and creates your flashcards with one single click. Designed with rich textures and visuals, in addition to thoughtful transitions and animations, Stacks feels well polished, immersive, and delights with turn.